Police have found another man they say was involved in the June killing of the South Florida native and rap star. A third man indicted in the shooting death of South Florida-based rapper XXXTentacion has been arrested. U.S. Marshals confirmed that 22-year-old Robert Allen was arrested at the home of his sister on Wednesday near Macon, Georgia, after federal agents received information he was in the area. Allen was allegedly caught on surveillance camera at a Deerfield Beach motorcycle shop minutes before XXXTentatcion, whose real name was Jahseh Onfroy, was shot and killed on June 18. 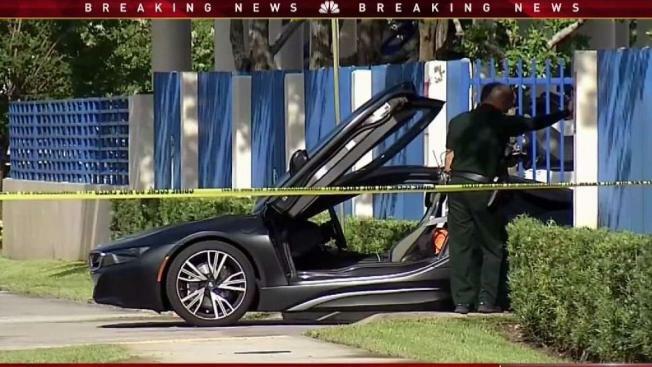 Officials said a struggle ensued when two masked gunmen approached the rapper's sports car and XXXTentacion was shot multiple times. The gunmen fled with a Louis Vitton bag containing $50,000. It wasn't immediately clear if Allen had an attorney. A total of four people have been indicted on first-degree murder and armed robbery charges, with two of them — 22-year-old Dedrick Williams and 22-year-old Michael Boatwright — already in custody. Only Trayvon Newsome, 20, remains at large as of Thursday morning. A Broward County native who was living in Parkland at the time of his death, XXXTentacion was part of several chart-topping songs, including "Sad," which rose to No. 1 in the week following his death.